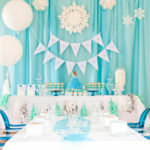 When it comes to throwing a party, there are literally hundreds of themes and trends. Some trends fade away faster than Olaf the snowman on a summers day, while others just keep on, keepin’ on for years on end. Instead of parties with 20+ kids, going nuts on food, red drink and dancing, enjoy the trend of a bespoke slumber party. 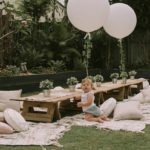 Beautiful set ups with tepees and accessories for a more intimate crowd. 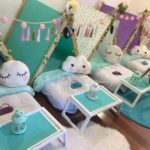 Check out the beautiful slumber parties on offer from Catching Dreams Slumber Parties. Boys and girls can enjoy these parties and the set up is all done for you. Yep, Frozen is here to stay! (Insert sighs and eye rolls from parents everywhere) With the release of the second film pegged for November 2019, there will be lots of hype throughout the year. So… get ready for more blonde braids and blue Ice castle cakes. 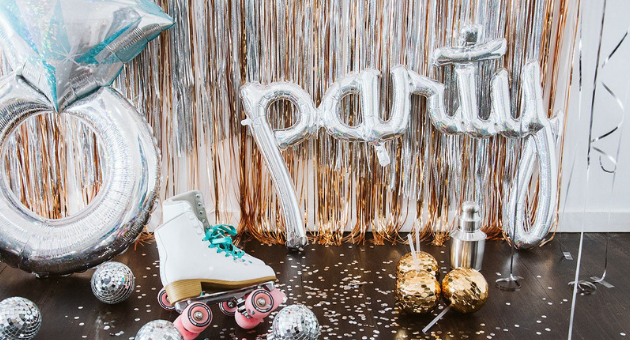 This style of party was hot in 2018 and still remains a strong contender. They are pretty and they are simple. Think mismatched blankets, cushions, and scattered flowers. Pastel balloons and platter style food. Whimsical and great for an outdoor party just like this one from Lovely Occasions. 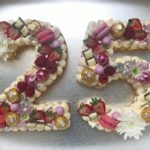 There were drip cakes, then there were naked cakes, now there are number cakes! I love the ones from Fancy Favours. 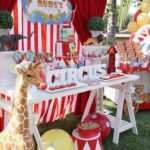 Bright and Colourful Circus Parties! In 2018 we had The Greatest Showman and now Tim Burtons Dumbo, this theme will be popular! Think bold colour and sparkles and less clowns. 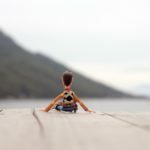 Little boys and girls everywhere will be excited for Toy Story 4 the movie to release this year. They can dress as their favourite toy and get involved in make-believe. Think sparkles, think glitter. 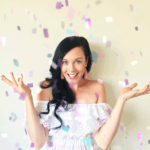 Disco parties are IN! 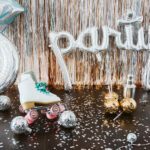 This theme is all about a good backdrop for photos and some fun tunes to dance to. I love the disco decorations from Lovely Occasions. 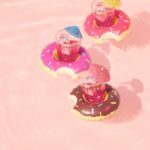 Other trends that are still strong for 2019 are superheros, mermaids, fairy parties and dinosaurs/jungle parties. So… whatever party you choose to throw this year, remember to breathe and enjoy. It is a day to create a memory, not to be stressed.